Young China Watchers (YCW): You began reporting for Reuters in the aftermath of the Tiananmen Square events, and just before Deng Xiaoping sought to revitalize his reform program with the 1992 Southern Tour. What originally drew you to China and what keeps you here 25 years later? 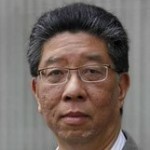 Benjamin Lim (BL): After 25 years—six years in Taiwan and 19 years in China—I jokingly say that maybe I’m a masochist. But the real reason I’m still here is that I’ve worked as a journalist in only two places. In Taiwan there’s one pizza, eight slices, and 100 people going for one slice. China is a buffet in a five-star hotel. If you’re willing to walk that extra mile, you can have your share of scoops. I count my blessings. China is the place to be in terms of news. There’s a lot of international attention and appetite for China news. Democracies are boring: They are so open; politicians say what they think. You can talk to the aides of the prime minister or president. It’s more predictable. Democracies don’t need outsiders to interpret what it all means. But the Communist Party is opaque, enigmatic, and mysterious. YCW: You have closely covered President Xi Jinping’s anti-corruption drive, which has been characterized as both a genuine attempt to root out corruption and a cynical bid to consolidate power. What’s your interpretation? BL: Authorities want to legitimize the Party’s rule by showing the people that they’re genuinely fighting corruption. But on the other hand, it could be a pretty good tool to oust rivals. So I think it’s a bit of both. Overall though, most of the Chinese people applaud the anticorruption drive and genuinely like Xi because of it. When Xi was named heir-apparent in 2007, he held a family meeting and announced that if they wanted him to ascend the political ladder, they would need to stop their business activities. After he took power in 2012, he held another family meeting with his mother present, and basically told his family to quit business. We China-watchers have this tendency to pin everything on Xi. But I can’t control what my brothers and sisters do. I don’t think Xi has absolute control over his family. He’s not the eldest; he has an elder sister who was instrumental in their father’s rehabilitation. He can’t be held responsible for everything the family does. We have a tendency to think that China is one monolithic power in which Xi knows everything. We assume that he has the whole picture and takes the pulse of everything. But China is too big. It’s an empire; it’s not a country. Xi went to India to mend fences with Prime Minister Narendra Modi. During the meeting, Xi was surprised by a Chinese military incursion into Indian-controlled territory. There are a lot of things that Xi does not have control over. Even Mao did not have absolute control. YCW: In your new book, you ask whether Xi will follow in the footsteps of Chiang Ching-kuo, the authoritarian reformist leader of Taiwan, or Mikhail Gorbachev, the Russian leader who presided over the collapse of the Soviet system. What is the most likely scenario for Xi’s presidency: cautious reformism or sudden revolutionary change? BL: Xi is in the middle of these two extremes. He won’t be a Gorbachev who digs the Party’s grave. On the other hand, I don’t think he can democratize China. Chiang Ching-kuo was a political strongman. When he said liberalize, nobody dared say no. He had the clout and charisma to railroad changes through. In March 1986, he declared an end to martial law and democratization followed in the ensuing years. You need a political strongman to institute massive reforms like that. Xi is nowhere near a political strongman. If anything, we are going to see intraparty democracy in 2022, when Xi’s second five-year term ends. Intraparty democracy could legitimize his third five-year term. To serve a third term, you cannot just say that you want to be chairman. You have to find a reason to legitimize that bold move. Right now, it’s the 200 or so Central Committee members who elect the Standing Committee and select the Party’s General Secretary. Come 2022, it could be the 3,000 or so delegates attending the National People’s Congress or the provincial Party cells nationwide electing Xi. And the latter could mean 80 million people voting. But I think Xi will be the lone candidate. I don’t think anyone will have the guts to challenge him. YCW: You have delved into Xi’s traumatic experiences of the Cultural Revolution and his battle for influence with the leading voice of the contemporary ‘red culture movement,’ the now imprisoned Chongqing party secretary Bo Xilai. Do you believe that Xi is seeking to revive aspects of Mao Zedong’s revolutionary zeal and autocratic governing style? BL: If two Chinese people met during Mao’s days, they would cite a quotation from Mao’s Little Red Book. One would have to start the quotation, and the other would have to finish it. Everybody wore a Mao pin on their lapel. Mao was a demigod. Is Xi anywhere near Mao? Xi is far, far, far from establishing a cult of personality. But red culture, for better or worse, galvanizes this country. Instilling red culture is a tactic; it’s a means to an end, not the end itself. Xi will likely be in power for longer than his allotted ten years though—maybe 15 or 20 years. I heard this very early on, shortly after he took power during his first year. But he is not anywhere near Mao in terms of cultivating a cult of personality. YCW: The orthodox view is that mainland-Taiwan relations will sour when Democratic Progressive Party (DPP) President-elect Tsai Ing-wen takes office in May this year. What should we expect for the cross-strait relationship? BL: It depends on what Tsai says on 20 May, and what she does after that—whether her words and deeds match. It’s also a matter of China. From China’s point of view, it might seem self-defeating to help Taiwan’s economy grow only to see Taiwan drift further away. But Xi understands that he cannot just deal with the Kuomintang (KMT) because it cannot solely represent Taiwan. 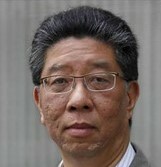 He has to deal with both the KMT and DPP. So I think this is an opportunity. I’m sure Tsai will extend an olive branch, but whether that is acceptable to China remains a question. When the KMT was in power, there was a phrase: “Every time you meet China, you will oppose it.” Now that the DPP is in power and they have control over the legislature, I don’t think their supporters will take the president to task for trying to mend fences. It’s like the Nixon scenario: Only the Republican President Richard Nixon could have visited Mao; if the Democrats had tried, they would have been crucified. So only the DPP can successfully mend fences with China. Of course, the KMT has done it, but look at the resulting protests and riots. Whatever Tsai does in the future may not be seen as selling out because of her pro-Taiwan credentials. YCW: Xi is generally considered to have retired Deng’s “韬光养晦” (“keeping a low profile”) approach to world affairs. What are the likely long-term impacts of Xi’s more assertive foreign policy on Sino-U.S. relations and security in the Asia-Pacific region? BL: Let’s put things in historical context. Mao plunged China into the Korean War. Deng Xiaoping taught Vietnam a lesson. Jiang Zemin menaced Taiwan with war games. 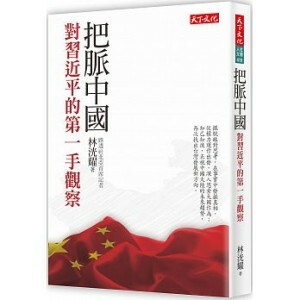 Hu Jintao approved the anti-secession law. Where is Xi on this spectrum? Of course, he has regularized patrols in the disputed South China Sea and built structures on its islands. But it was a given he would be diplomatically assertive even before he took power. He is a princeling; a born-to-rule, very confident, can-do person. What did we expect? I wouldn’t call Xi a moderate. He is left-of-center. He is assertive. He wants to have a say in how the rules of the game are set internationally. In China, they call it institutional power. Xi doesn’t want China to just be a follower. But we all know that China is decades behind the U.S., unable to challenge it militarily, economically, politically, or diplomatically. China knows that it would be suicidal to seriously challenge the U.S. Will China be the leader? I don’t think so.